Ada pertanyaan untuk Bert Hinkler? 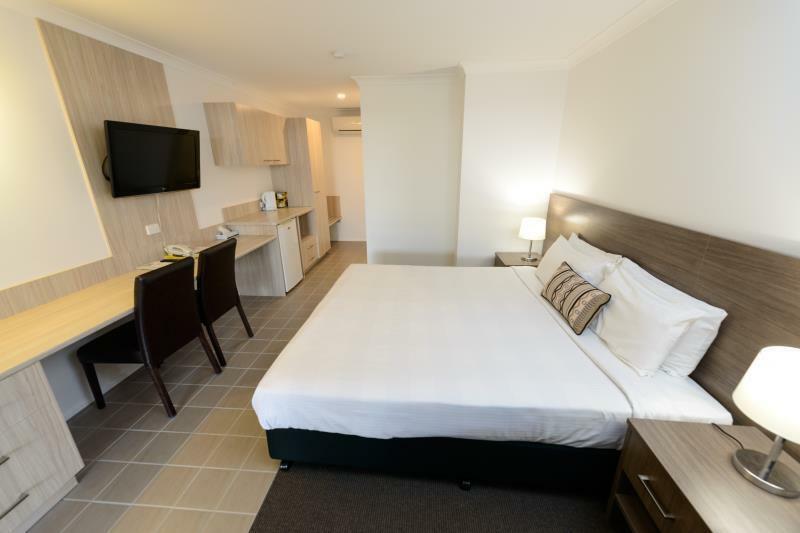 Terletak strategis di Bundaberg, Smart Motels - Bert Hinkler adalah tempat yang luar biasa untuk memulai penelurusan kota yang aktif ini. Dengan lokasinya yang hanya 3 km dari pusat kota dan 1 km dari bandara, properti bintang 3 ini menarik perhatian banyak wisatawan setiap tahunnya. Para tamu dapat berjalan-jalan di obyek wisata populer kota ini seperti Bundaberg CBD, Bandar Udara Bundaberg, Dive Musgrave. Smart Motels - Bert Hinkler menawarkan pelayanan sempurna dan segala fasilitas penting untuk memanjakan para wisatawan. Properti ini menyediakan WiFi gratis di semua kamar, tempat parkir mobil, layanan kamar, restoran, layanan binatu (laundry) untuk menjamin kenyamanan terbaik. Semua akomodasi tamu dilengkapi dengan fasilitas yang telah dirancang dengan baik demi menjaga kenyamanan maksimum. Properti ini menawarkan fasilitas fantastis, termasuk kolam renang luar ruangan, untuk membantu Anda bersantai setelah beraktivitas seharian di kota. Fasilitas super dan lokasi yang istimewa menjadikan Smart Motels - Bert Hinkler tempat yang sempurna untuk menginap di Bundaberg. Kamar menawarkan layanan pada hari Minggu dan Hari Libur Nasional. Sarapan diberikan kepada tamu tanpa biaya tambahan. Waktu penyajian mulai pukul 06:30 hingga 08:30 dari hari Selasa hingga Jumat. Restoran hotel buka hanya pada malam hari di hari Senin hingga Kamis dan tutup selama hari libur nasional. Sarapan tidak tersedia pada hari libur nasional. Restoran properti akan tutup setiap tahun antara minggu terakhir di bulan Desember hingga minggu ketiga di bulan Januari. I have stayed in motels in all parts of this country and in a lot of small towns that you don't get a choice for a motel, and this was one of the worst. Doesn't have its on reception, you have to walk through to a connecting motel. The room was dusty, musty and the ac rattled. To top it all off the in room breakfast was a piece of steak (boot leather) sausages (2 chirios fried) cold toast because they had to come so far from the other motel and was tasteless. Don't need to say much more really!!! Please, keep looking for other hotels and don't waste your hard earnt money here. We refused to stay here, regardless of whether they would refund us or not. The service was the worst I have ever recieved- ever! And the pool stank, was locked up likely for health reasons, was essentially a pit of slime and had an actual dead animal in it! 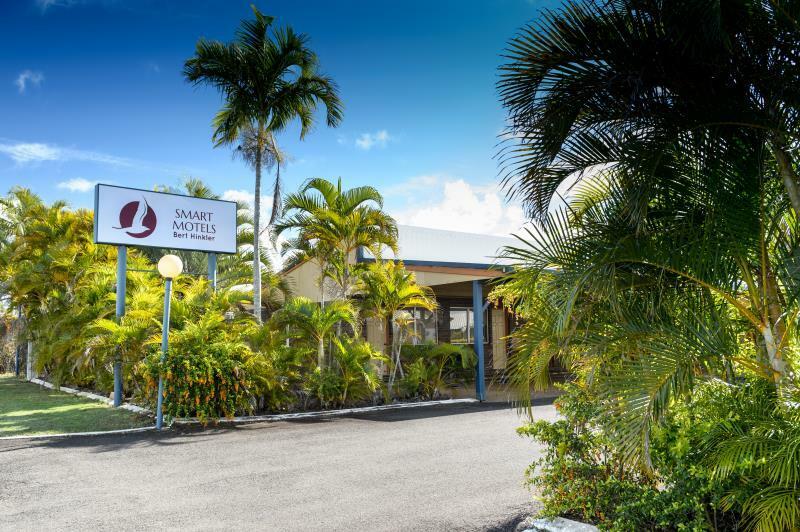 Please give this place a wide detour and book at the Sugar Cane Motel up the road! It looks like these guys only get corporate business. I'll never say a nice word about this business and Agoda should be ashamed to be linked with them in any capacity. After we walked up to the facilities- it looks like they get all of their main business from corporate stays they have brokered a discount deal with specific businesses instead of actual hotel service-- the pool is filthy, had an actual dead bird in it and had what looked like a layer of slime in it. What made us not stay though was the horrific customer service. I have never had to recieve such feral service before in my entire existance. Straight away, we were greeted with a terrible attitude and an excuse for everything with a staff member who talks over you and would not let you talk. They wouldn't accommodate and discouraged us from booking through Agoda and actually laughed in my face when we voiced concerns, and made a point to communicate that if we booked something through Agoda they not only don't have to honor it, and won't call to rectify. It's also worth noting the Manager was less then a few meters away, walked into another area of the office and did nothing. Do not book! Arrived at 3 pm and was "processed" at reception, not welcomed by the male attendant. Room was clean, with all amenities but the advertised "free Wifi" not working. Signage out front advertised $95 stand by rate - charged $100. Mould in shower and on curtain. WiFi connected but didn't work. Didn't like the pillows (too big and hard). Everything else was good. Lovely big room, very clean, comfortable bed. I was surprised there was no microwave as browsing on the net implied there could be a kitchenette - it seems this is only in the "self-contained" units. Motel prices in Bundaberg including this one seem inordinately high for what you get, especially when there seemed to be very low occupancy. In the past I have just driven on to Gladstone when I would otherwise have broken my journey in Bundy, because I could get the same facilities for 1/2 to 2/3 the price there. Though dated, it was extremely comfortable. Location was semi-private even though directly off main arterial road and there was little traffic noise. Very good value for money. Perfect for overnight. Stay was ok. Cups were dirty when we arrived and no milk was in the room, although tea and coffee was in the room. Beds were a bit ordinary, but for a night or two they were ok.
Good sized room for the money. Room was clean. Not the most modern, but comfortable. Friendly helpful staff. 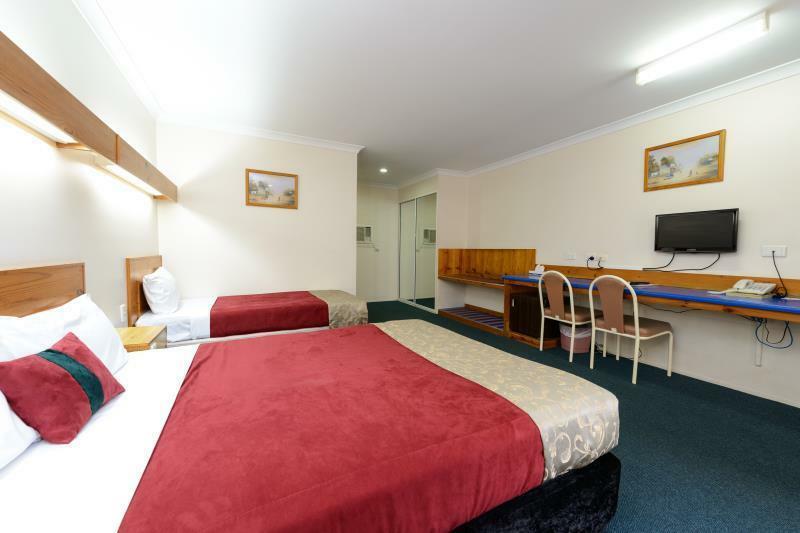 air conditioning, spacious room, adjacent car parking. Brief. We were looking for a place to sleep overnight at a reasonable (by comparison to other motels in Bundaberg). 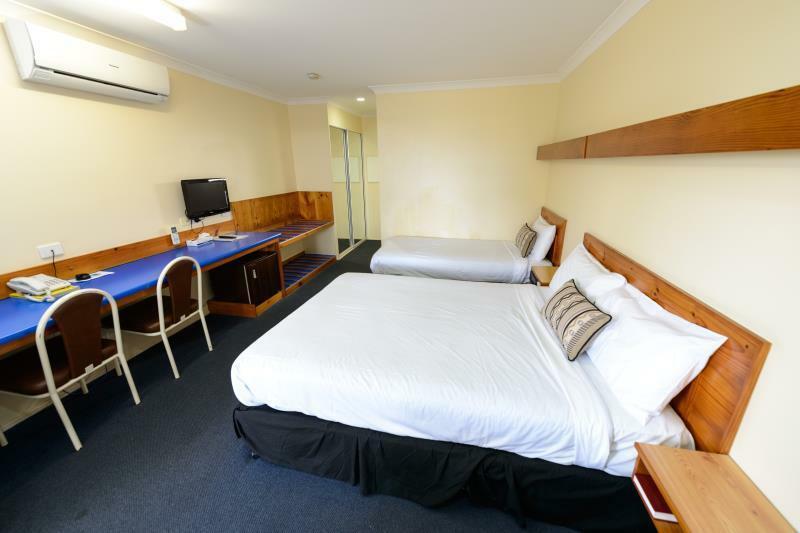 As an observation, accommodation is very expensive in Bundaberg, we thought this motel was cheap but gave a good standard of service. i was only in town for one night for a birthday party so only used the motel as a place to sleep. it was what you would expect for the price. nothing wrong with the place, nothing spectacular either. the receptionist upon arrival was very friendly. 3 guests booked into room but only 1 towel supplied. air conditioner was old style and very noisy. ctv was very small for room size. swimming pool was locked.